Norwegian Gem skipped scheduled visit to Saint Maarten today (March 18) because of gastro illness. The 2,394-passenger NCL ship, currently on a March 12 cruise from New York to the Eastern Caribbean, had to spend the day on the isle. Over the course of the sailing, "a number of guests reported to the medical center with various symptoms of gastroenteritis after returning to the ship after a port call," according to a statement released by the line. After consulting with St.Maarten's public health authorities, the vessel will remain at sea "in an abundance of caution." 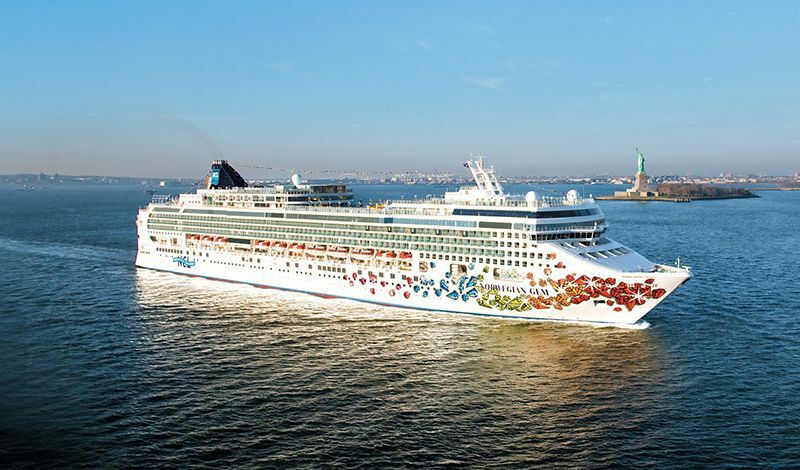 Norwegian Gem employees have been carrying out extensive sanitizing and preventative measures onboard, the Norwegian line said. The Centers for Disease Control (CDC) has not posted a report yet. The U.S. health authorities get involved when a communicable disease onboard a ship sickens at least 3% of passengers. Norwegian Cruise Line said the number of sick travelers on Norwegian Gem ship is currently 2%.